In central Australia public debate has recently focused on the issue of Aboriginal people traveling across the region, between remote settlements and Alice Springs. One concern is how the short term population mobility affects the delivery of services. Another is the inadequate or unsafe modes of transport which often facilitate such movement. Often, solutions proposed to problems of remote transport and mobility aim to stop “urban drift,” or to transport the “drifters” back to their home communities. Even if this is an aim of policy, Alice Springs still provides services to more small Indigenous settlements than any other centre in Australia. If you look around Alice Springs, a lot of economic activity is directed towards serving people from out bush. 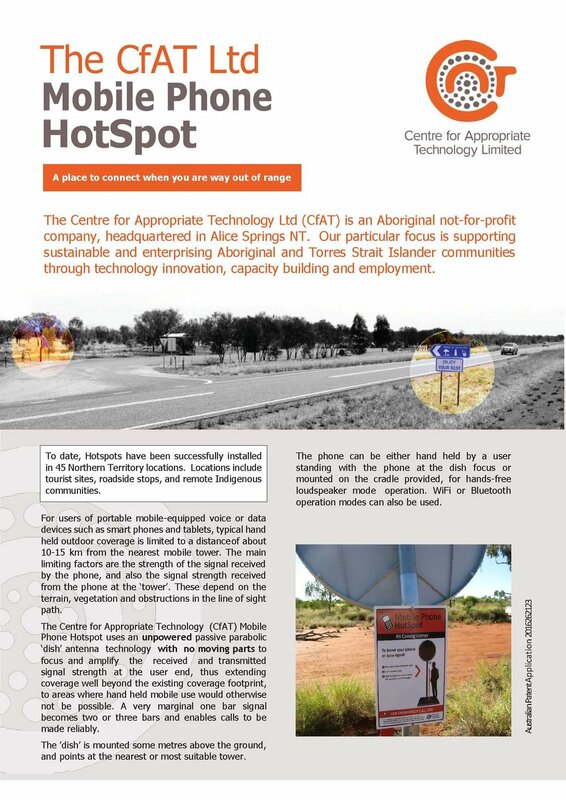 Given that most remote settlements are below the population threshold that can support basic services, people will continue to travel to Alice Springs. With this likely ongoing pull towards town, how are people facilitating transport to access services now, and what are the future prospects for these means of transport? In 2005 I looked at transport issues and asked the NT Motor Vehicle Registry (MVR) for a snapshot of vehicles up to 2.7 tons, including passenger cars, off-road passenger vehicles, and light goods vehicles. This article provides an update on remote transport, comparing that information from June 2005 with a new MVR snapshot from March 2011. By looking at the vehicle fleet in central Australiaand the populations it serves, we get a better picture of some ongoing remote transport issues that may have contributed to recent headlines and debate. People and motor vehicles across central Australia: what are the numbers? Firstly, to provide a rough measure of potential transport demand, we compare the number of people in a region with the number of registered motor vehicles. In Alice Springs (0870) in both the 2005 to 2011, there were approximately 1.6 people per registered vehicle 2.7 tons or less. Out of town (0872) we find an increase from 10.7 to 12.9 people per vehicle. This is for the most part the result of increased population, potentially leading to intensification of transport demand in remote areas. Secondly, we look at one measure of the possible number of unregistered vehicles, the rate of lapsed registrations. Just as in 2005, the big number in 2011 is the proportion of unregistered vehicles relative to current vehicle registrations for 0872. We see that, in both periods, the total lapsed registrations are equal to about 38 per cent of current registrations in the out of town region. The consistency of this proportion over time suggests that a high proportion of vehicles are not being reregistered out bush. What do we find in Alice Springs town? In 2011 the number of lapsed vehicle registrations is equivalent to about 22.16% of the current registered stock, above the 20.91% we found in 2005. Note here that by comparison for March 2011,Darwin(0810) had lapsed registrations equivalent to 14.5 % of current registrations. This reinforces the suggestion that when compared with Alice Springs town or other NT regions, remote centralAustraliahas a relatively high rate of lapsed registrations which persists over time. This translates to a relatively high number of unregistered vehicles that could potentially still be in use out bush. We can see that for the 2011 snapshot, when lapsed registrations are counted as an unofficial component of the total fleet, persons per vehicle in 0872 declines by about 3.5 (i.e. from 12.9 to 9.4 people per vehicle). In 2005 the difference was 3 people per vehicle (from 10.7 to 7.7 people). This may be a rough measure of the incentive to drive vehicles with lapsed registrations in remote areas. What do we learn from these numbers? For 2005 and 2011 data alike, people per vehicle and the rate of lapsed registrations is much higher in 0872 than in 0870. At one level this is a simple story about intensive use of cars on poor quality roads, and of people being unable to keep vehicles roadworthy and registered. With annual registration costing at least six hundred dollars, even a vehicle in reasonable repair requires the investment of significant resources annually. Even if a vehicle could be registered, capacity to access this level of resources would typically be associated with mainstream employment. We also know from the 2006 census that there is a very low mainstream employment to population ratio in remote centralAustralia. Existing employment options including CDEP have not delivered the level of income which would be required for a viable private remote transport fleet. With the rates of lapsed registrations we have shown, it is not surprising that traffic offences continue to be a big problem in central Australia. In December 2010 Bob Gosford, columnist for Crikey.com, drew attention to the huge number of driving charges clogging bush court sessions. In three separate reports, Gosford describes Local Courtsessions in Yuendumu and other larger remote communities, where traffic offences typically make up about 30-50% of the charges heard. More charges predictably add up to more fines, and with the cost of fines often unaffordable for people without any foothold in the labour market, the potential that more Aboriginal people go to prison. Gosford also cites academic Thalia Anthony whose research shows that traffic offences in the NT have increased 250% since the Federal Government’s NT Emergency Response or Intervention. They suggest that increased policing has led to the criminalisation of Aboriginal road use practices that were not previously targeted by police, including creative car maintenance in the tradition of famous mocumentary Bush Mechanics. Clearly traffic law enforcement is not as effective as it could be. Current criminal sanctions including hefty fines do not seem to influence the behaviour of many remote road users, when it comes to driving unlicensed or driving unregistered vehicles. However, at another level, it is difficult to quarrel with the recognition by police that there are real problems out bush with dangerous modes of transport. Motor vehicle related injuries and deaths disproportionately affect Aboriginal road users. The NT Police Force Road Safety Strategy 2008-2013 provides a profile of traffic incidents which shows that, in terms of deaths per 100,000 people, for the last decade the NT is typically twice to three times the national average. Comparing regions within the Territory, in 2007 theAlice Springsand Southern Region had very high fatalities, at 54.1 per 100,000—twice the rate of the Territory as a whole (26), and about seven times the nation-wide rate (7.7). These numbers reinforce a couple of points: Firstly, road safety in Southern NT is a real problem, not just an artifact of an overzealous policing; secondly, the current regime of enforcement is not succeeding in its goal of getting people to use the road in a legal and safe way. Together with evidence about high rates of lapsed registrations contributing to a substantial fleet of unregistered vehicles, they raise further questions about the sustainability of the remote transport system. What we have is a situation where people drive what they have to get to the places or services they need to, a solution that will continue to produce poor public health outcomes, and continue to land Aboriginal people in court. Fines and enforcement mechanisms can be altered, but the dangerous remote transport fleet in itself is a problem. Based on available experience, public transport may be part of the solution. The main example here is the Centre Bush Bus, which is the only fee-for-service transport provider to remote areas in centralAustralia. In 1997 they provided a single route between Alice Springs andDockerRiver, but twice weekly route services now extend to Tennant Creek, Yuendumu, Kintore via Papunya, and across the SA border to Pipalyatjara. The service to Kintore via Papunya is often sold out. Their vehicle fleet has expanded to 17 buses of various sizes, and they employ seven drivers full-time plus casuals as needed. Apart from an additional express service to Tennant Creek, routes take in many smaller communities along the way. According to Tahnee Passmore, Assistant Director of Centre Bush Bus, all of these routes have been established on a demand-responsive basis. The company maintains close community links and responds to requests for new routes by looking at potential passenger numbers, and establishing a trial to see if they would be viable for a regular service. Other factors make the Bush Bus attractive to its predominately Aboriginal customer base. The service is door-to-door, and the company allows passengers to pay for transport on credit, using a Centrepay form from Centrelink. Bush Bus assumes the risks of these credit arrangements, and allows passengers to stagger payments over time. Given its strong and growing customer base, the demand-responsive business model adopted by Centre Bush Bus should be closely considered in any private or public sector efforts to improve remote settlement transport. Not only have they proven successful in meeting transport demand on a sustainable basis, they show are a good example of how remote settlement residents are a potential consumer base for other forms of enterprise and development, given the right business model. If dangerous vehicles will continue to be an issue for some time, apart from public transport, the only solution is a more general one: increased economic participation, allowing for the possible improved safety in private modes of transport. Nobody ever said that large scale movements of people between urban and rural areas, especially on degraded roads or in poor quality vehicles, would make for easy public administration and policing. It should be noted here that population mobility across the region surrounding Alice Springs, combined with the relatively high Indigenous population growth, is something that policy makers have been in a position to know about for decades. Given these patterns will not go away, we now need to act on the evidence, support further public transport growth, and seek opportunities for creating work across central Australia, which has to be the best long-term solution to unsafe transport. Note: Because of the format of MVR figures, we are forced to use Australia post postcode areas for ‘in town’ I ‘out bush’ comparisons. I focus here on the postcode regions Alice SpringsTown (0870) and the surrounding area (0872), within the boundaries of the NT. Remote registrations with PO Box addresses (postcode 0871) are included in the 0872 count. For 2005, I use populations from 2006 census data for postcode districts. Estimated 2011 populations for the same districts are calculated based on ABS estimated residential population growth for statistical local areas making up Central NT. I note that postcode districts are not the most reliable census geography, but the use of this geography is necessary due to the format of NT MVR data.